… I've completely changed my opinion of Catherine Tate. 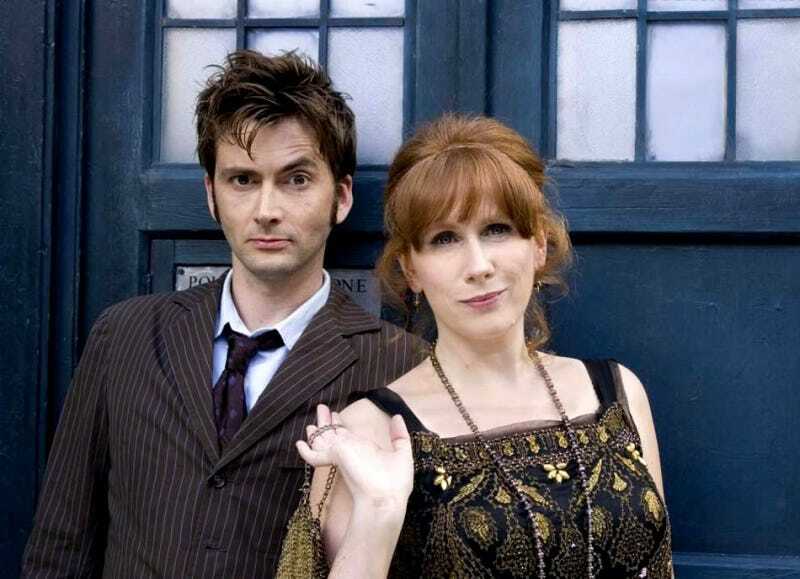 I was never a fan of Catherine Tate's comedy, so I wasn't looking forward to her being the companion in Doctor Who. I saw a few of her episodes but as I was already expecting to not like her, I didn't. Especially as I'd really liked Martha as a companion. The 50th special kickstarted a desire to rewatch the new series as I'd only ever seen the episodes once, as they aired, so I'd forgotten a whole lot of what happened. I went into Series 4 with a more open mind this time though, as people are always raving about Donna here on the O-Deck, and I was more than pleasantly surprised. There were a whole lot of great episodes I'd missed out on first time round - The Doctor's Daughter, Midnight, Turn Left - and ones I had seen that I'd actually liked at the time but forgotten what happened in them - Planet of the Ood, The Sontaran Stratagem/The Poison Sky, Silence in the Library/Forest of the Dead - and that finishing two parter, The Stolen Earth/Journey's End, was just magnificent! I loved seeing all of those old faces again, but why on earth is everyone the Doctor meets called Smith or Jones!? So consider me a Donna Noble convert. The girl can act! Next up is The Doctor Meets The Governor in Victorian London!